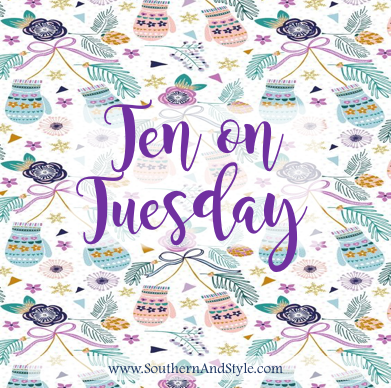 Some links below are affiliate links-thank you for using these links to help support Southern & Style at no additional cost to you! Now that December is finally here, can I just say that I am thrilled & totally in the Christmas spirit?! This past week was a busy week and this week is going to be/has been busy too but it's worth it for all the joy and excitement that comes with the season. Also, I just want to address the fact that there was no Saturday post up...I had a post scheduled & had left the house before my 6:30 posting time, so I just assumed it went up...but blogger flaked on me and it didn't post & by the time I got home that evening it was too late to post it so you'll get that one this week! Last Thursday I made a little trip to Birmingham to spend the afternoon with my sister doing all kinds of fun stuff. We met at the Summit & browsed through Belk, Lilly, Anthropologie, and Paper Source...then we were starving so we headed to the new Bar Taco & y'all...it was so yummy. It was basically my favorite meal ever. After that we headed to Mountain Brook Creamery for a quick and delicious ice cream, then after a quick stop by Trader Joe's I headed back home! Have you seen these deodorizing hairbrush liners?! Not only do I think they would be amazing for keeping your hair fresh, I think they would be a game-changer for keeping your hairbrush clean. 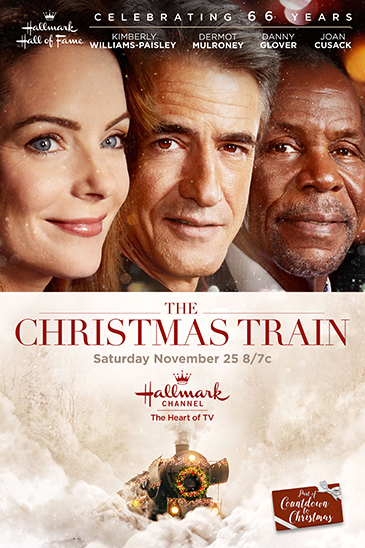 On Sunday afternoon I had a lazy day & spent it working on blog posts and watching maybe one of the best Hallmark movies I've seen in a long time-The Christmas Train. If it shows again, you definitely need to watch it-it has Brad Paisley's wife, Kimberly in it & I just love her! 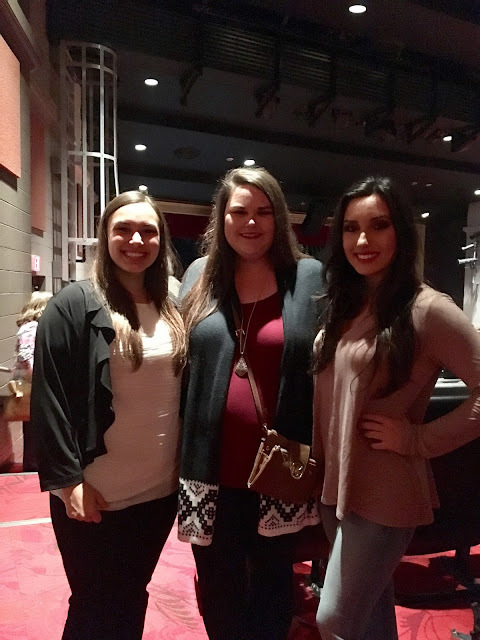 On Thursday night when I got back from the 'Ham, my mom & other sister came over and we headed back to my little Junior College town to see their Christmas musical. I wore these shoes and was totally obsessed. They were warm & comfortable & cute! My former school always puts on an amazing show & of course I had to come see my favorite Mary (Callen-on the right below-has been one of my favorite people since she was a little girl, so it was fun to see her perform!) and her cousin Madison is also one of the little girls I grew up loving! 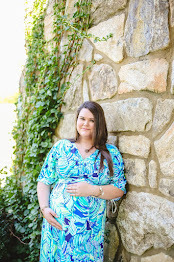 Did you catch my surprise Monday post? I linked up with Sarah, Victoria, and Emily to share my Christmas wish list. I also really need to add this cozy robe to my list as well because I wish I had it on right about now! I made this Green Chili Chicken Bake last week & it was a winning recipe-quick & easy! We ate it with Spanish rice this time, but I think next time we would eat it in burritos-it's yummy either way. I smelled a sample of this perfume in the Holiday issue of Marie Claire & now it's definitely been added to my wish list-it smells so good! So on Friday I'm hosting a family Christmas gathering & so when I was planning out this week's schedule to get the house prepped, I turned to no other than Better Homes & Gardens to help me whip the house into shape. 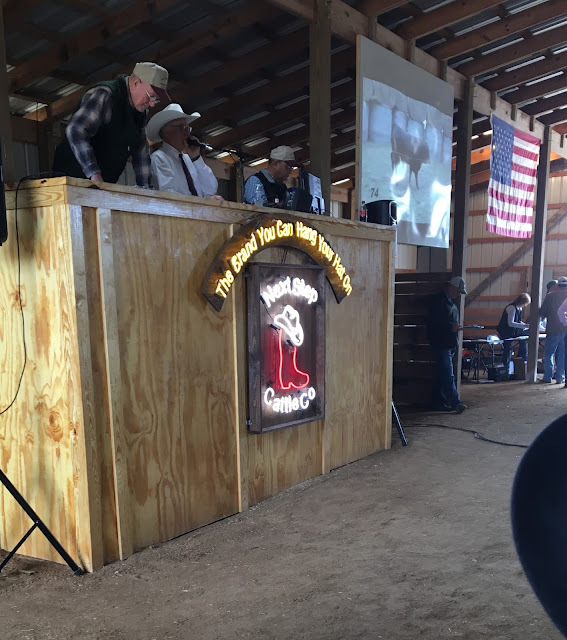 Saturday I performed the ultimate act of selfless love...I woke up at 5 AM to go to Livingston, AL (three hours away from where we live...on the opposite side of Alabama, almost in Mississippi) to attend a bull sale with my husband and his parents. Erica shared 10 Ways to Choose Joy this Christmas season & it's totally spot on...I especially love the idea of sharing season's greetings with everyone-it doesn't happen all year that you can share "Merry Christmas!" as you open the door for someone else! I hope y'all enjoyed this week's little roundup, let me know below what you're up to this week-any last minute additions to your Christmas wish list? I think I need those hair brush liners in my life, stat! How cool! So much fun! What a great list! Those hairbrush liners look cool! The tacos look so yummy! Also need to try that chicken bake because yum. I loved the Christmas Train too! I love the Hallmark Christmas movies but they do tend to get repetitive and I though this one was a nice departure from the norm. That chicken bake sounds yummy, I'm going to have to give that a try! Okay those tacos look amazing! Vermont doesn't really have good Mexican food :( Have a great week girl! It sounds like you've had a really great week! I've never known anyone who has gone to a bull sale. My boyfriend isn't into bulls, but if he was, he would definitely have to treat me to a good sale if I got up early to attend something like that. How interesting! I need to try that green chili chicken recipe. Looks great! Those tacos look amazing!! I'm glad you had a good week and I'm sorry your saturday post flaked!! I've had trouble with Wordpress not posting my scheduled posts before and it's the most frustrating thing in the world! That mexican restaurant looks delicious! And loved Erica's post! Omg those tacos look so good! I'm doing a low-carb lifestyle and it kills me not to eat tortillas! haha. I love christmas plays - they're always so cute!